The heart of the Armstrong brand.helping homeowners get the flooring that's right for them in any every room of the home - beautiful, durable and innovative hardwood, vinyl sheet, luxury vinyl plank and tile, vinyl tile, laminate, and linoleum. Stylish ceilings and accent walls for the home including ceiling tiles, planks, panels and installation systems designed to create beautiful living spaces. Ceiling solutions for any space you can imagine, back office to statement space....our portfolio includes mineral fiber, fiberglass, metal, wood and specialty ceilings, along with grid for suspended ceiling systems. Innovative, award-winning commercial flooring solutions - BioBased, hardwood, laminate, linoleum, luxury vinyl tile - that enable our customers to deliver exceptional interior spaces that surpass expectations. All Armstrong LVT flooring products are Floor Score(TM) certified for low VOC emissions for safer indoor air quality. We also manufacture all of our LVT in an ISO 140001-certified facility. Our American Scrape hardwood offers long-lasting hardwood beauty and durability. Manufactured in the U.S.A, a portion of the sales from the American Scrape collection through 2013 will support Homes for Our Troops. Introduced in 2007, BBT offers a phthalate-free alternative to PVC flooring; it’s stylish and sustainable with 85% limestone and 10% pre-consumer recycled content. Raffia VCT contains post-consumer recycled content and 85% limestone which means its environmental footprint is lower than our standard VCT. At the end of its useful life, Raffia can be recycled into new VCT products through the Armstrong Commercial VCT Recycling Program. CoolZone, an innovative ceiling solution, absorbs energy during the day and releases it at night, keeping living and work areas at a steady temperature around the clock. CoolZone saves energy and improves occupant comfort. DC FlexZone offers the ability to distribute safe, low-voltage direct current (DC) power that can significantly improve the flexibility and reuse of interior spaces. It is the first ceiling suspension system that provides an infrastructure for the delivery of low-voltage direct current (DC) power based on the EMerge Alliance 24 VDC Occupied Space Standard. Our energy saving, high light-reflective fiberglass ceilings have 70-75% recycled content, and they’re recyclable through the Armstrong Closed-Loop Recycling Program. They’re certified, low VOC- emissions, and the substrate resists mold/mildew and bacterial growth. Our mineral fiber ceilings are high recycled content (HRC) and 100% recyclable through Armstrong Closed-Loop Recycling Program. They’re certified low VOC-emissions with our AirGuard™ coating that actively removes formaldehyde and other aldehydes in indoor air. Our ceiling suspension “grid” systems have 63% high recycled content (HRC) available as a standard option (Interlude, Prelude, and Suprafine). All Armstrong suspension systems contain 30% recycled content, the highest in the industry, and they are recyclable. Our WoodWorks ceilings are 92% recycled content and 100% USDA Certified Biobased with FSC®-certified, no-added formaldehyde and rapidly renewable veneer options. Our woodworks walls, available in variety of standard wood species, stains, panel sizes, and perforation options, are 100% usda certified biobased with fsc®-certification and california air resources board (carb) compliance. Our perforated panels with acoustical backing improves sound quality and reduces reverberation time. 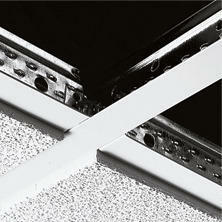 The Armstrong Ceiling Recycling Program, started in 1999, is the industry’s first ceiling recycling program. To date, we’ve recycled more than 123 million square feet, and that grows each day. Our closed-loop process produces Armstrong Ceiling-2-Ceiling™ branded items with the industry’s highest level of post consumer recycled content. 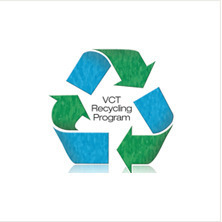 Armstrong works with customers to recycle qualifying Armstrong and other vinyl composition tile (VCT) with and without adhesive. This program provides an opportunity to save money and reduce environmental impact with little to no effect on renovation or construction schedules. 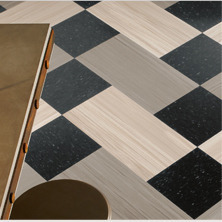 Armstrong has been making linoleum with the same natural ingredients for more than 100 years. Armstrong linoleum combines beauty, performance and low maintenance in a sustainable package – ours has 35% pre-consumer recycled content and 36% rapidly renewable raw materials. TechZone ceilings offer a custom look via standard components; they integrate with standard, pre-engineered drywall grid and perimeter solutions and coordinate fit and finish across ceilings, suspension systems, light fixtures, air diffusers, air returns and chilled beams.